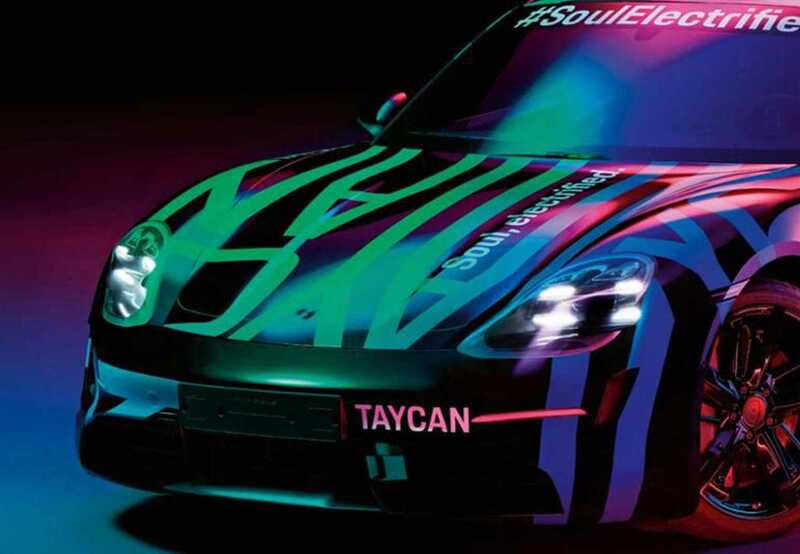 Porsche is getting closer and closer to unveiling its all-new, first-ever fully-electric sports car, called the Taycan. 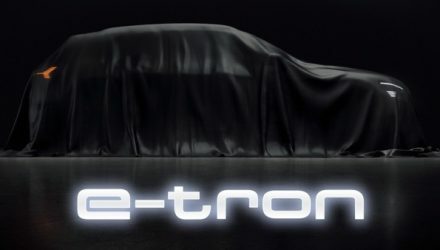 And to perpetuate the anticipation the company has just handed out some teaser images. Two lots of teaser images have found their way into the wild. The first two are official design sketches, showing some initial details of the Taycan during its design development stage. As expected, the Taycan’s styling will be heavily inspired by the Mission E concept car. 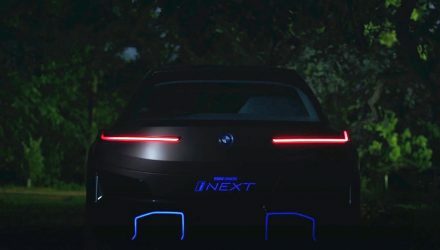 By the looks of the sketches, plenty of the Mission E’s philosophy will be carried over to the production version. For example, the headlights are supported by deep C-shape cuttings that double as air intakes, while the rear includes muscular haunches and a full-width taillight treatment. 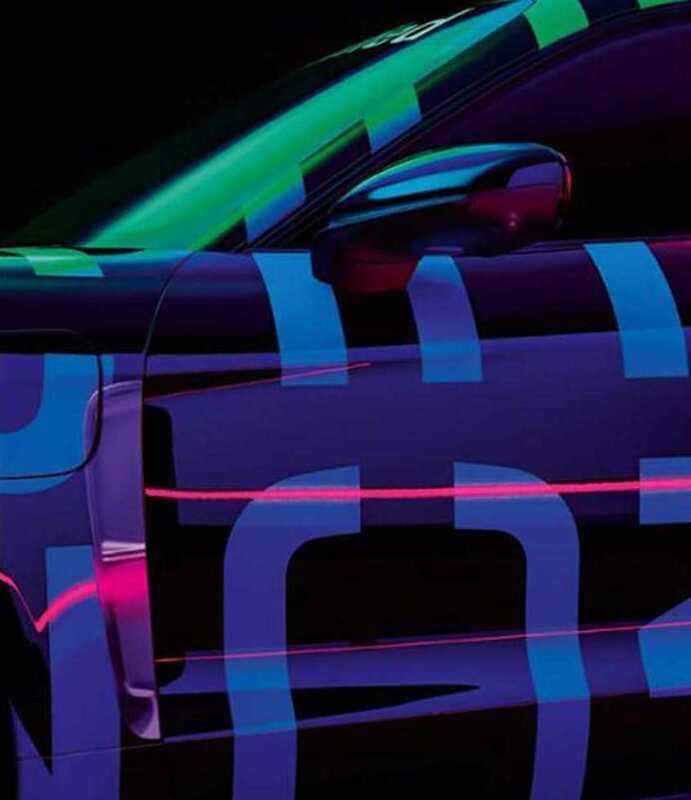 In the second lot of teaser images Porsche is showing what looks to be the finished product albeit showcased in psychedelic wrap. The front end is revealed, well, at least the body shape and panel contours are. 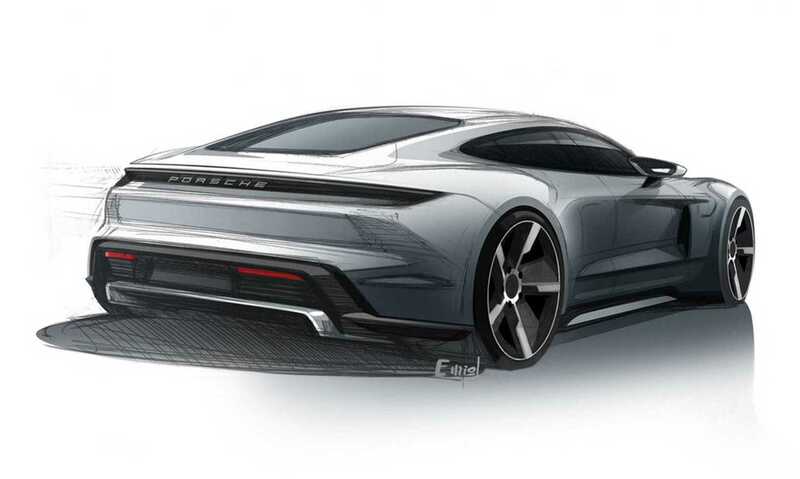 A snippet of the sides also confirms a neat vertical vent will run down behind the front wheels like on the Panamera, while a rear shot confirms that sunken, full-width taillight. 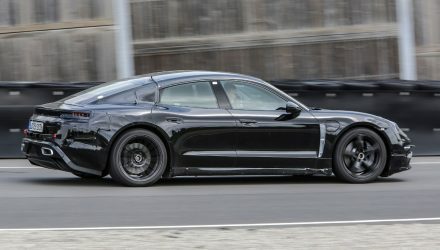 Some indicative specifications for the Taycan have already been released. 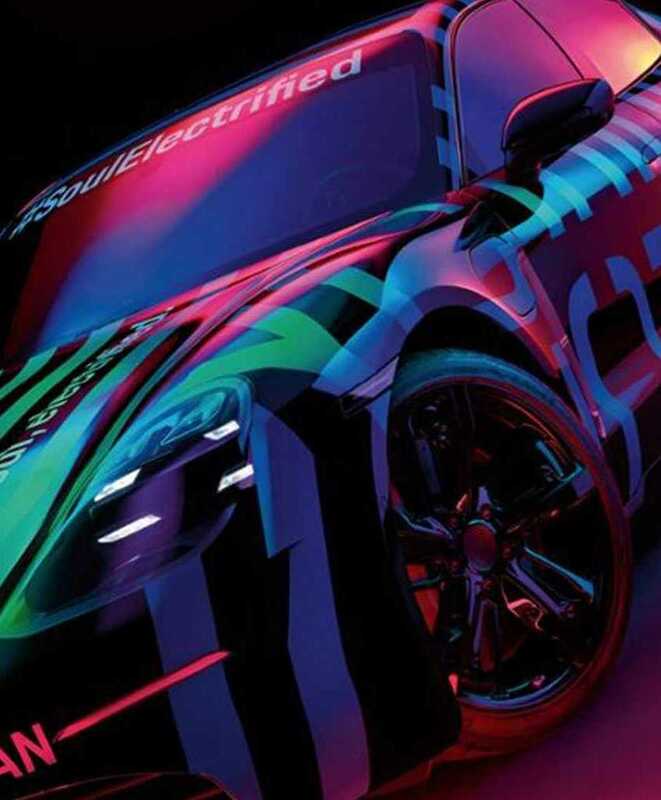 Porsche says the car will come with an 800-volt electric system capable of unleashing over 440kW to the wheels. A preliminary 0-100km/h time of “under 3.5 seconds” has also been set, while the range, according to Porsche, will be “over 500km”. 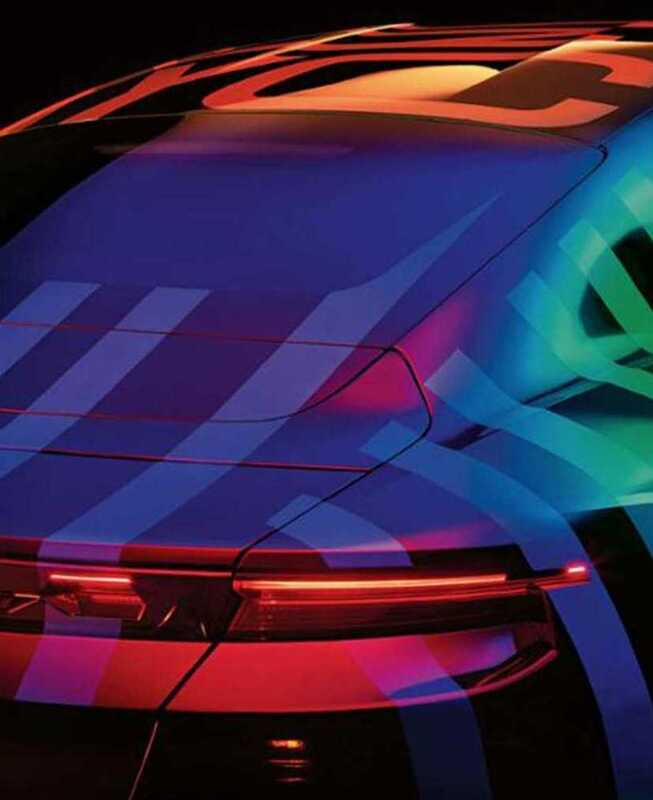 Porsche confirmed over the weekend that it will unveil the Taycan in September, likely at the Frankfurt motor show. 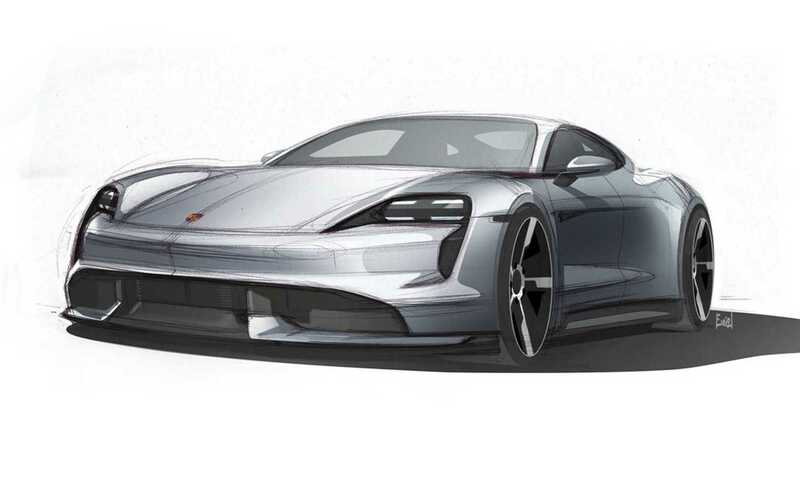 Following its debut, Porsche will also introduce the Taycan’s brother, the Cross Turismo, at the start of 2020. These won’t be the first electric vehicles from Porsche. You might remember the news of the next-gen Macan becoming a fully electric model series. 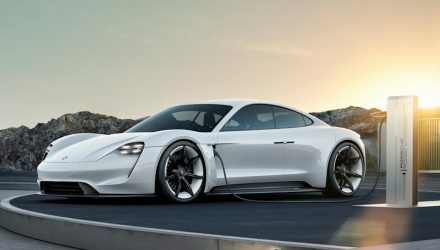 With these, and likely others, Porsche is projecting that by 2025, half of all Porsche sales will be made up of electric powertrain vehicles.